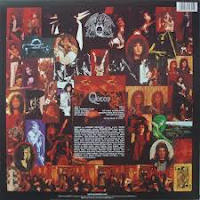 This, Queen's debut album, went under the radar somewhat in 1973, overshadowed by "Aladdin Sane", "Goats Head Soup", "Band On The Run", "Mott", "House Of The Holy", "Goodbye Yellow Brick Road", "Heartbreaker", even Cockney Rebel's "Human Menagerie". I was "into" all those albums at the time. This one passed me by. I didn't latch on to Queen until the follow up, "Queen II", the following year. Queen did not seem to fit into any pigeonhole - long haired, but with a singer in black nail varnish, flowing blouses who carried a strangely laddish "chutzpah" for one so effete. This would carry him a long way. His "lads" audience stayed with him to the realms of super stardom. The lyrics were all about fairies, kings, queens and rats, sort of Tolkeinesque with a nod to madcap artist Richard Dadd. Throw in a bit of quasi-religious stuff in there in tracks like "Jesus" and "Liar", a bit of 70s mysogyny in "Son And Daughter" and you had a strange hotch-potch. Musically influenced by Zeppelin, Free and Hendrix at the outset, but with a bit of acoustic delicacy appearing too, Queen were certainly interesting. 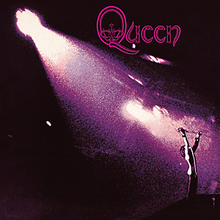 Their heavy fondness is there in the monumental "Liar", "Son And Daughter", "Great King Rat" and the frenetic Roger Taylor-penned "Modern Times Rock N Roll". The lighter, poetic lilt can be found in "The Night Comes Down", the beautiful "Doing All Right" (which does have an excellent "heavy" bit in it) and the ethereal "My Fairy King". Maybe I have heard "A Night At The Opera" just too many times, but, to be honest, I play this one more than I do that one these days. There is more than just curiosity in listening to this, there is some good material there.